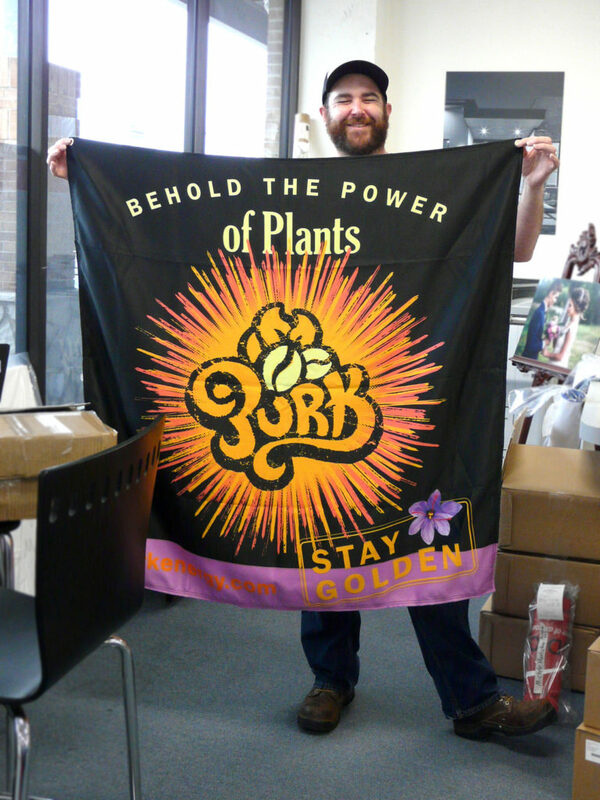 A vibrant fabric banner for Purk! We printed this eye-catching fabric banner for Purk, a new energy drink company creating healthy coffee based brews right here in Austin! Our fabric banners are on 9oz 100% Polyester fabric, and can be printed as large as 8′ x 100.’ They are durable, washable, and wrinkle resistant. Shown below is our mascot/manager Chris feeling reeeeaaaaallly energized.